Sometimes in this day and age being out and trying to eat vegan, gluten free, paleo, or just healthier requires a lot of creativity. I’m currently visiting one of my favorite cities for my favorite time of year. This is our 4th Mardi Gras where we meet up with an amazing group of friends and just have a memorable weekend together. NOLA is an amazing place filled with great sites, culture, history, music and FOOD! The food here is to die for- but it’s definitely not vegan. Heck- it’s barely vegetarian, any of it. This is my 2nd vegan Mardi Gras and I’m not gonna lie- it’s tough. With it being such a busy time of year restaurants are not willing to make any substitutions to their menus- and 99.9% of their menu isn’t vegetarian. This is where creativity comes in place. I need to be creative to get places to accommodate me without a hassle and without altering too much. Tradition on day 1- walk to French quarter and sit in outdoor cafe listening to music eating Po’boys. 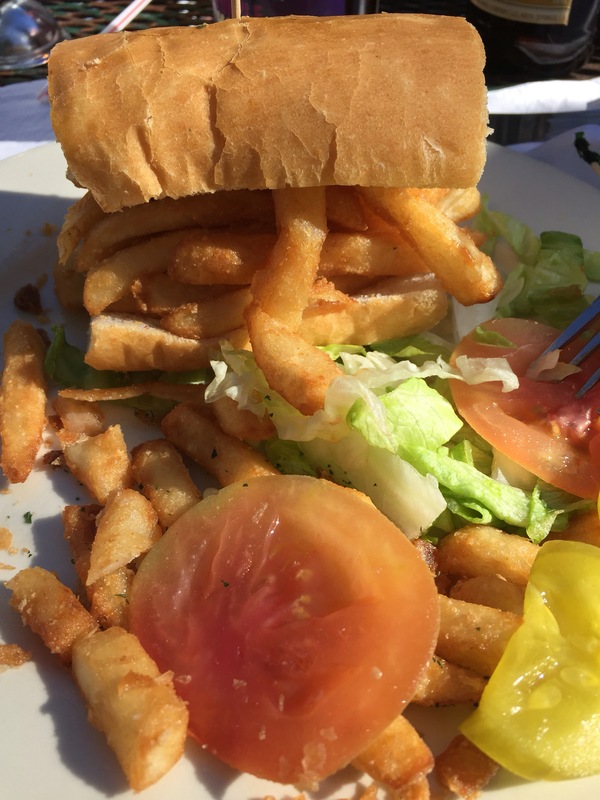 The Po’boys come with a side of fries so I ordered a one, with a hold on the shrimp (I always get a funny look). I then put those fries on my hoagie with all the fix’ins I could find! Although not healthy- it was delicious- and heck, it’s Mardi Gras! I then followed it with a green salad to cancel out the fried food…..that works, right? I have 4 more days in this electric city to be creative like this and I am excited for the challenge!